Over the last few years, Lauren Hendry’s life has been dominated by numbers; 800m, 1500m, 3000m. 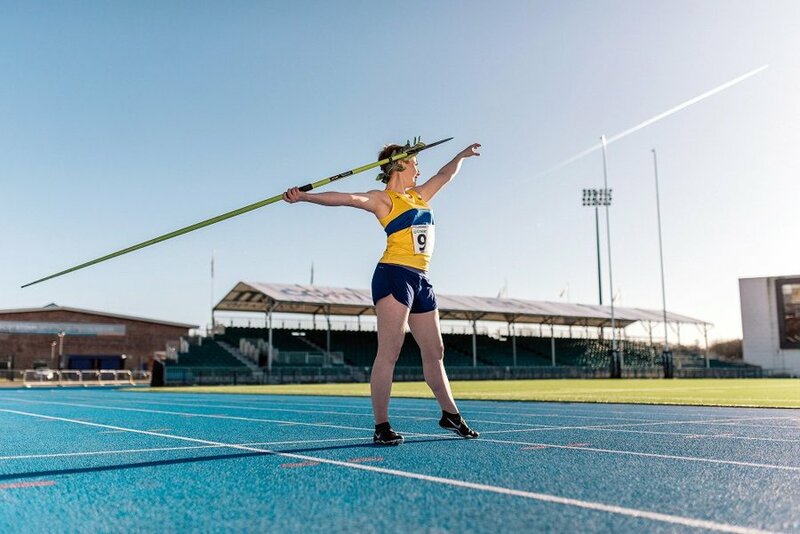 Having never run on a racetrack until 2016, her new solo show, directed by double Fringe First winner Jenna Watt, Tetra-Decathlon chronicles her training for, and results of, the 14-event track and field competition of the same name in 2017. Despite her background in acrobatics, Hendry had no experience in athletics, and had never trained for an event like the tetradecathlon, but a chance viewing of the Beijing World Athletics Championships in 2015 changed everything. Emboldened by the idea of being 14th in the world at the World Championship, she joined a local athletics club, and started training on 1 January 2016. Hendry was aware that her challenge of competing from what she calls a “sitting start” was extreme from the very beginning, calling it “14 Kinds of Daft”. She knew it would be difficult, but she was determined to finish it and create a show about it. From the beginning, Hendry was determined to get to the World Championships and make a show about it; from her training, to the European Championships and then the Worlds. Between training for the World Championships and creating the show, which part was her favourite? “I can’t really separate them, because the training took a lot more effort,” Hendry says. “For me, competing, it feels like performing; it has the same build up to a set moment where you have to perform and you are judged by other people, or by the clock. “Without that moment, you can’t really see how the training’s been going, because it always feels awful, it always feels really hard," she explains. "You can’t have the pay-off without it." While she remains tight-lipped about the content of the show, or her results at the World Championships (“I was pleased with my results,” she says) Hendry hopes that Tetra-Decathlon will be an inspiring show. Not just for its content, but also its message of going for a seemingly-impossible goal and achieving something you never thought you could ever do, until you put your mind and your body into it.